Let's face it: Halloween decorations can get pretty spooky and creepy. So when it comes to decorating your room for Halloween, it's hard to keep the spirit of the holiday and make your room as cute and cozy as you like it. Luckily, we've rounded up some inspo so you can turn your room into a cute, cuddly haunted house! The trick is to focus on black and white, sparkles and twinkle lights and to accent with pops of the signature bright Halloween orange. That way, you keep things relaxing and comfortable, but also have all the Halloween spirit that one girl could possibly need. 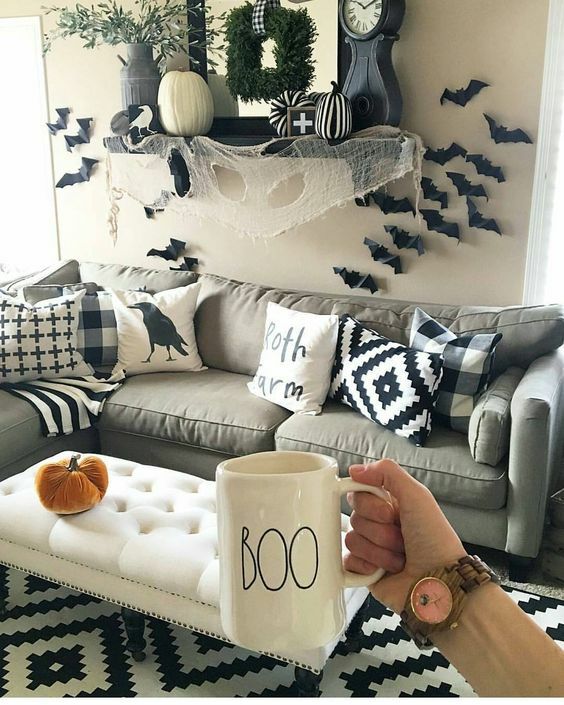 To start creating your creepy-cute haunted house room, try using some Halloween fabric or mummy gauze as shown in the picture. You can find these fabrics in black and white (or even orange). Pro tip: You can drape the Halloween fabric over some fairy lights for an extra glow that will shine from the gauze. 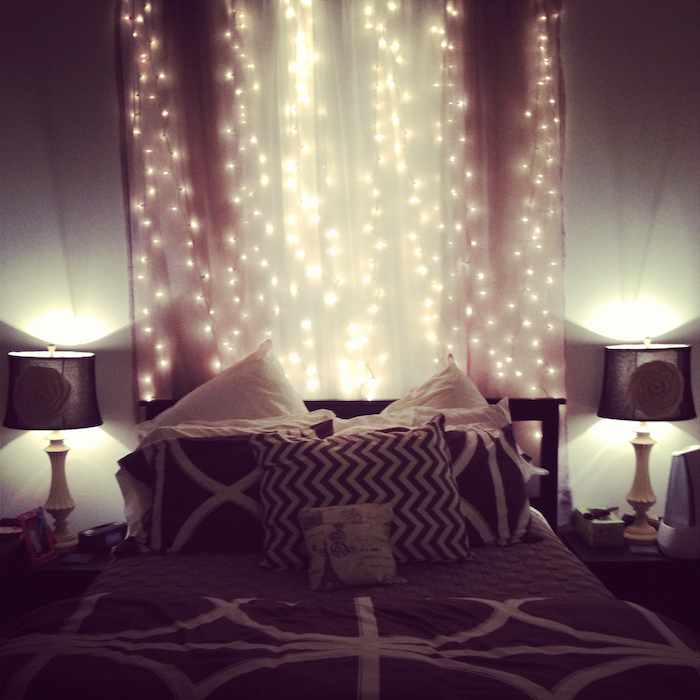 This keeps things spooky while also giving you some warm and comforting lighting in your room. 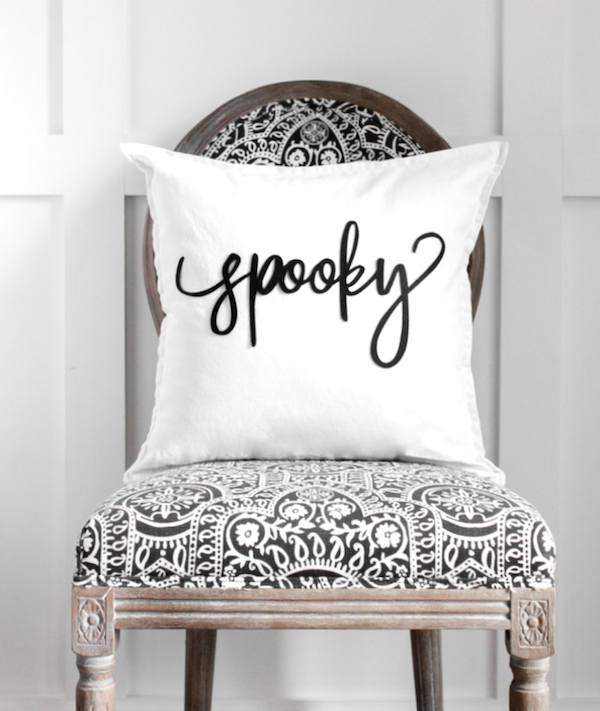 Black and white throw pillows will make your room sleek and chic, and cute slogan pillows or fun spooky patterns will add a kick of the Halloween holiday spirit. 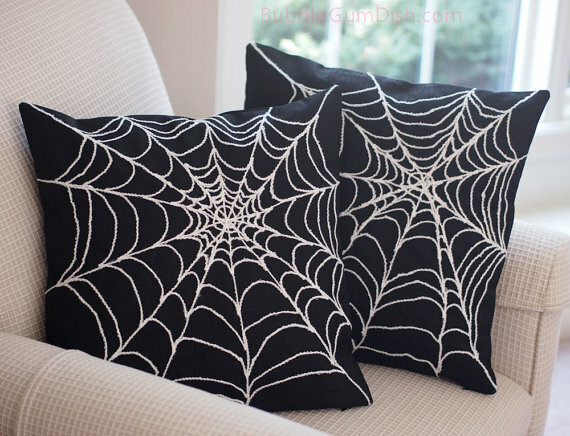 Check out this Queen of Halloween pillow, or a creepy spiderweb pillow or even DIY your own spooky pillow. I mean, is any haunted space complete without some ghosts? I can totally see these guys sitting on top of any bedside table or dresser you've got. Not to mention, they are so freakin cute. 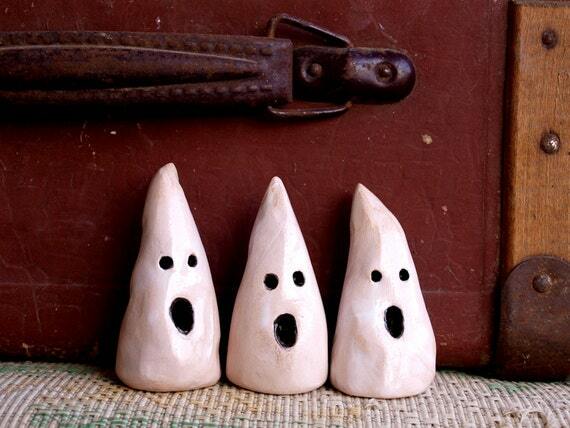 Check out this little band of ceramic ghosts on Etsy. Your bed won't be complete until you throw in a fun Halloween snuggie. Try this chic skull blanket that sticks with the black and white theme, but is also made of cozy fleece so you can curl up and be warm on cool auntumn nights. This list wouldn't be complete without a cozy candle for your haunted space. 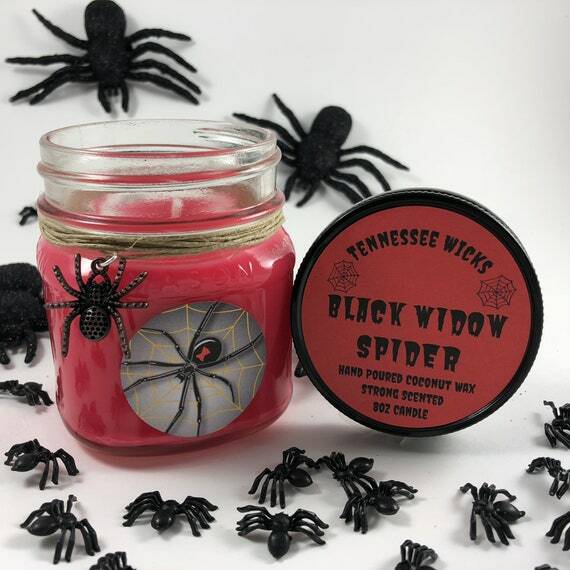 Don't be freaked out by the spiders, this candle smells like coconut - transporting you to days in the sun. Check it out here. 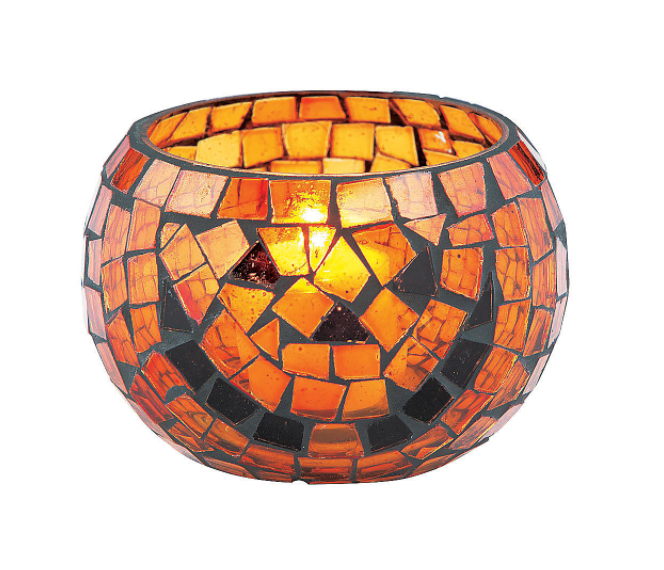 Add a pop of color and light with pumpkin Halloween votives. If you want to avoid a real flame, you can even pop a LED or battery operated "candle" into these glam glass pumpkins, and nobody would ever know the diff. 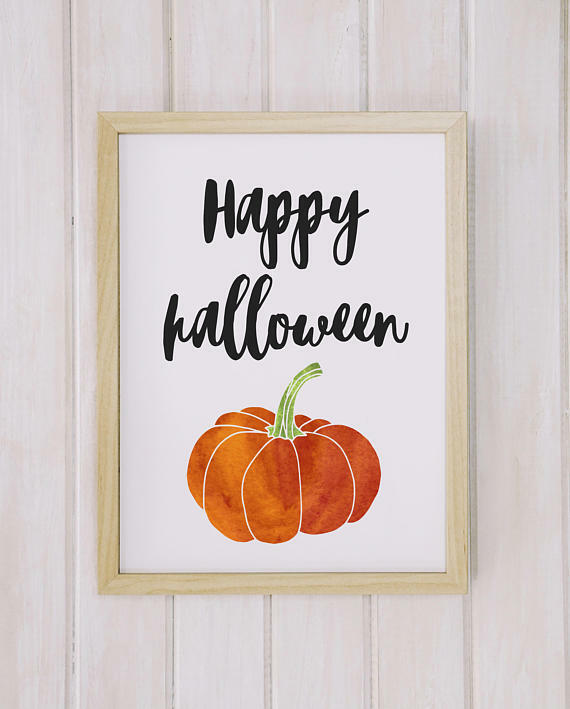 This pumpkin wall art is so welcoming and will add another sweet pop of color into your cozy haunted house. Nothing says autumn like pumpkins, right? Are you obsessed with planting all forms of cactuses? 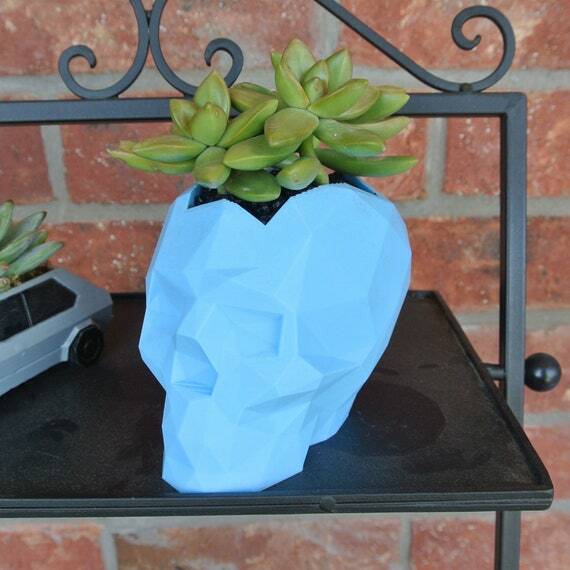 Get in the spirit with a skull planter that comes in every color under the sun, making it an adorable room accessory for the whole year ahead. Check it out on Etsy. What do you think? 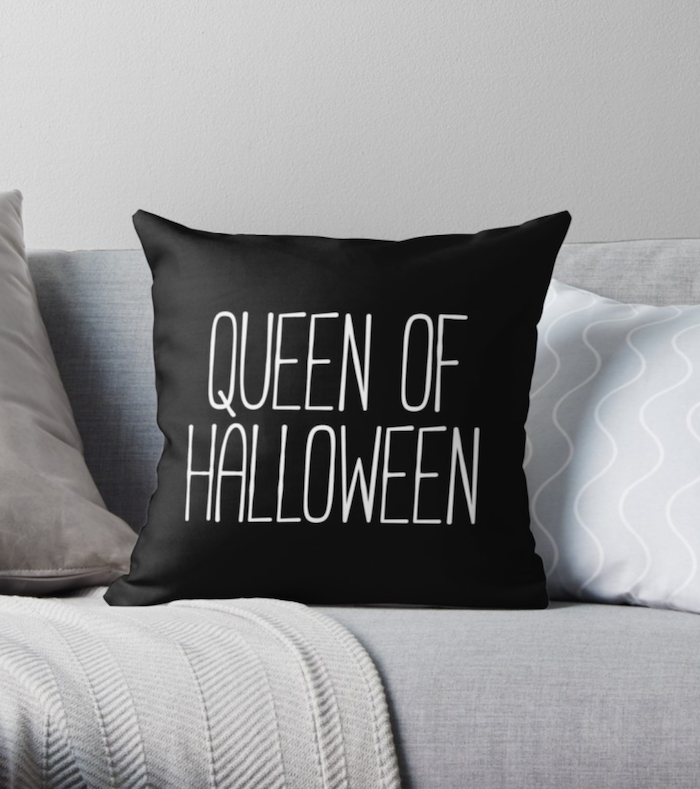 Will you decorate your room for Halloween? What are your favorite Halloween decorations? Let us know in the comments!